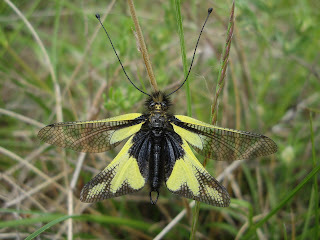 Owlflies are dragonfly-like insects with large bulging eyes and long knobbed antennae. 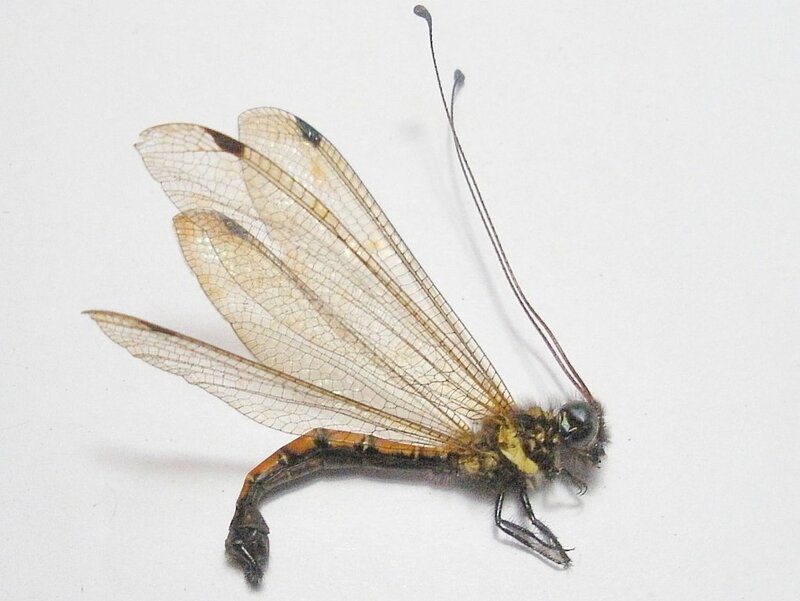 They are neuropterans in the family Ascalaphidae; they are only distantly related to the true flies, and even more distant from the dragonflies and damselflies. 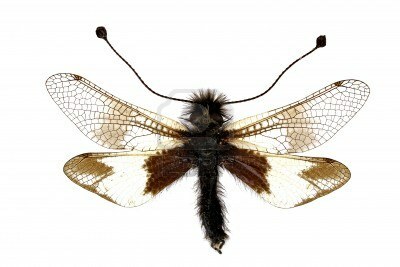 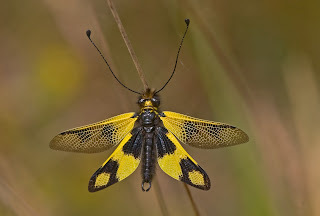 They are diurnal or crepuscular predators of other flying insects, and are typically 5 cm (2.0 in) long. Owlflies are readily distinguished from dragonflies because the latter have short bristle-like antennae. 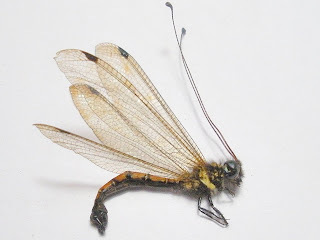 The closely related antlions (family Myrmeleontidae) have short, clubbed antennae, smaller eyes, and very different wing venation.